Want to get the word out fast? A stack of flyers lets you advertise your upcoming events without slowing down your cash flow. 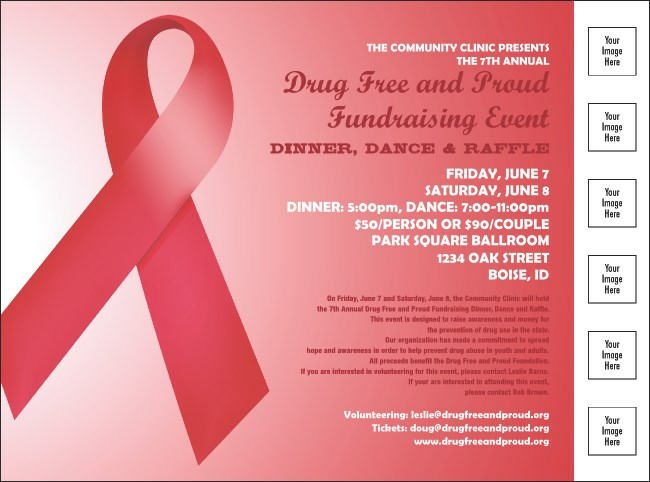 The Red Ribbon flyer features a red ribbon against a red and white background and matches the rest of our Red Ribbon Event Kit. For anti-drug benefits and AIDS awareness actions, along with any other red ribbon event, try the Red Ribbon Flyer.